In 2015 world leaders came together and made a historic promise. 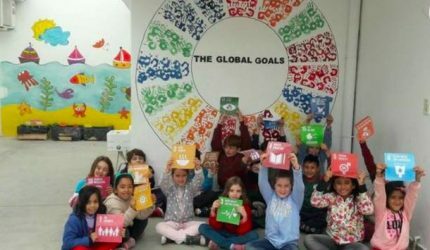 They signed up to the Sustainable Development Goals which have the potential to end poverty, to reduce inequality and to fix climate change in just 15 years. Today is the opening of the 71st session of the UN General Assembly, which marks the one-year anniversary of the signing of the Goals. 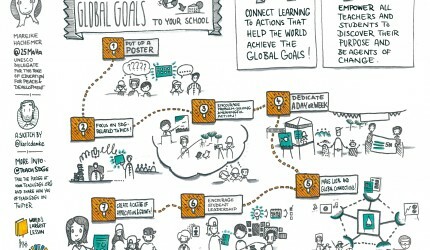 During the opening ceremony this animation was shown to help world leaders envision what the world will look like if the Global Goals are achieved; let’s see numbers in action. You can find the individual animations shown in the film here for using in your World’s Largest Lesson or sharing on social media. It is now more important than ever to emphasize the commitment which lies at the heart of the Goals – to leave no one behind. When leaders signed the Global Goals a year ago, they pledged that no Goal will be met unless it is met for everyone. Time and time again the poorest and most marginalized, those that are disadvantaged, and at risk of violence and discrimination have been left out of progress and development. Children and young people are a notoriously vulnerable group as they too often lack platforms to express their views and voice their concerns. Many of our partners like News-O-Matic and Restless Development are working hard to provide such platforms. 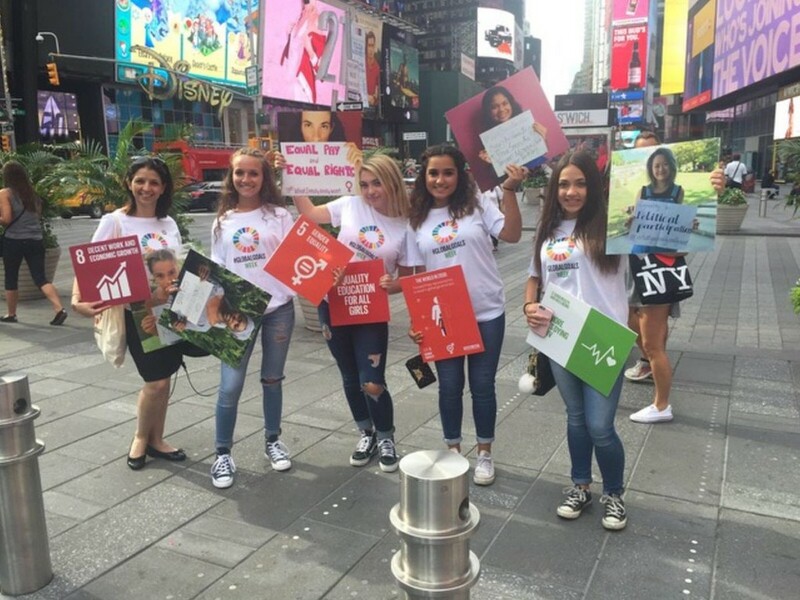 It was great to see News-O-Matic youth reporters out in Times Square today raising their voices for the Global Goals. If we are truly going to achieve leaving no one behind, we need to ensure children and young people can play their part in the Global Goals. Every child deserves to have their voice heard and the World’s Largest Lesson is working hard to achieve this. Our ambition is, first of all, to provide a universal Lesson that every child, regardless of race, location, gender or disability, can join in through the support of educators around the world. As part of this, we now have materials in over 40 languages and we are building a library of them here. 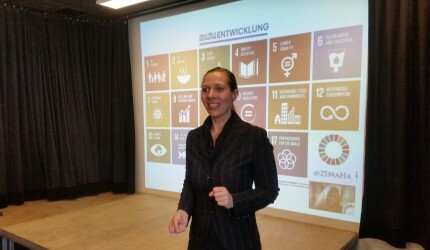 This is thanks to a community of volunteer, NGO and UN partners committed to sharing the Lesson. If you can help with further translation, please get in touch here. Second of all, by imparting knowledge of the Goals to children and young people we hope to empower them to take action on the Goals. 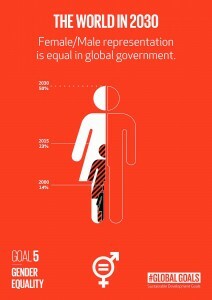 Our new survey project (#FromWhereIStand) with Emma Watson aims to create a snapshot of what gender equality looks like from the perspective of young people around the world. 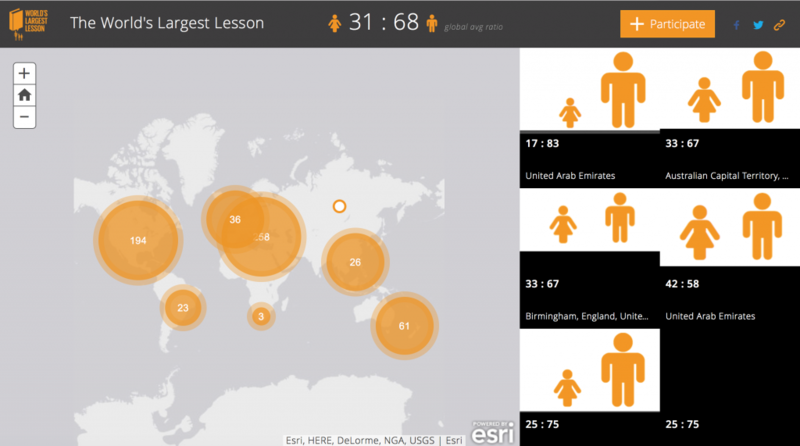 Survey results can be directly input onto an interactive ESRI map here. It is critical that as many children as possible take part in the project and we hope you will help us ensure that all countries are represented on the map. In just one day, the number of entries has increased by an incredible 50%. What number can we reach by the end of the week with your help? Finally, our goal is to create a unifying Lesson that can bring all the children and young people of the world together and help them build a brighter, more sustainable future; they can be the generation that makes a real difference.